If you're looking for a 2018 Nissan Kicks for sale, then you've come to the right place. Billion Nissan in Sioux Falls or Billion Nissan in Sioux City has a great selection of vehicles for you to buy or lease. If you already own a Kicks, we sell genuine Nissan accessories that will help you customize your Kicks to be exactly what you want. We can also service your Kicks, and you can purchase parts as well. Keep your new Kicks running in great shape! 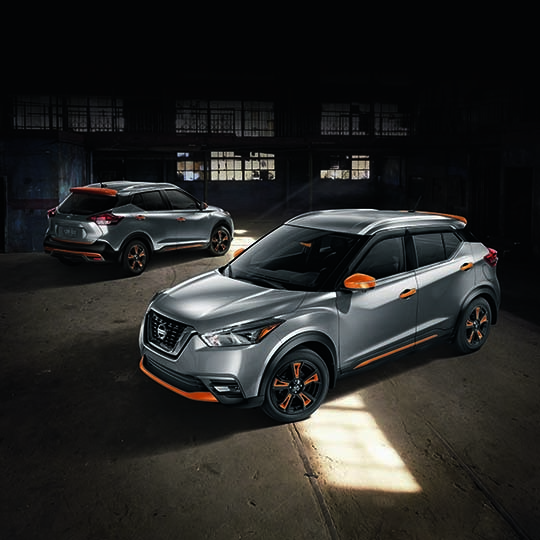 The first ever Nissan Kicks is a crossover available in many colors, all with bold details both inside and out. You'll be sure to turn heads wherever you go. Whether it's city or rural driving, the Kicks can take you there. Contact us today to test drive a new 2018 Nissan Kicks in Sioux Falls or Sioux City. Or, view all our great new Nissan inventory.